Let battle commence! Visitors to Tamworth in Staffordshire will be able to celebrate St George's Day in style when the town stages a medieval-themed extravaganza on Saturday 22 April. And commanding centre-stage among the fun and festivities taking place within Tamworth Castle Grounds will be the Grand Medieval Joust complete with knights on horseback. 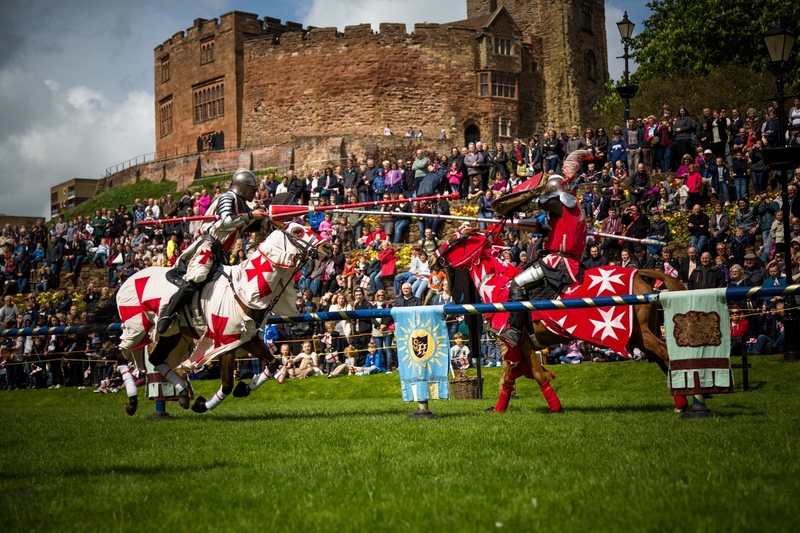 The knights will be demonstrating their jousting skills as they do battle inside the main arena set beneath the ramparts of the castle itself. 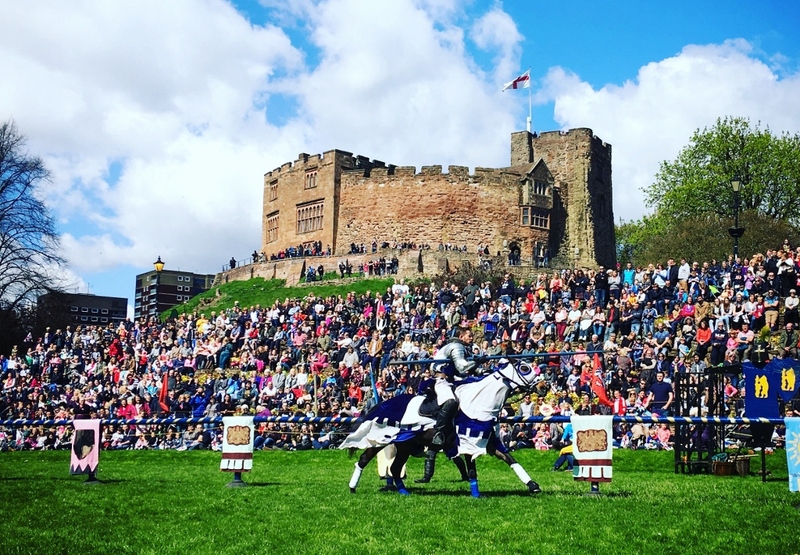 The St George's Day celebration has proved to be a popular feature of the Tamworth calendar with last year's event attracting record-breaking crowds of more than 13,000 people. Organisers now hope to build on that success with another jam-packed feast of entertainment. Regular festival favourites again feature the medieval jousting, with the knights also demonstrating the variety of weapons and combat methods used throughout the day. Other past favourites also include archery, a living history camp, stalls, fairground rides and children's activities. 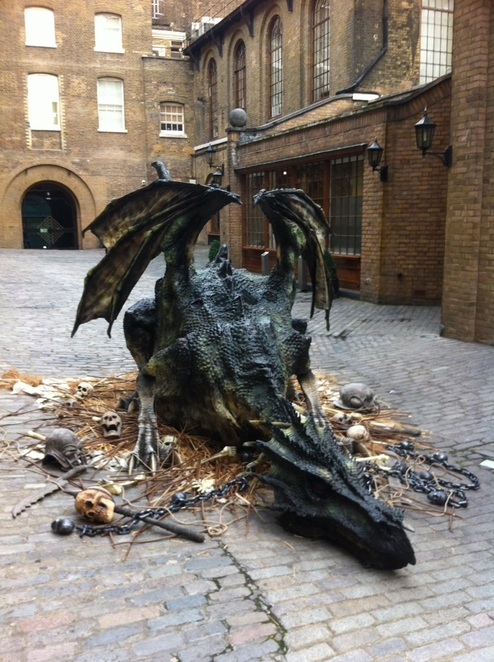 This year also sees the return of the dragon, although 2017 audiences are promised a new interactive dragon which people are encouraged to stroke, while help will also be sought to help incubate the dragon's large egg. Other entertainment and activities for the whole family include a medieval fashion show, children's pottery-making workshops, Beowulf – A Storytelling of Puppets, a Medieval Grave Diggers Comedy, walkabout characters, Morris dancing, water and land zorbing, bungee trampolines and food stalls. A dedicated Children's Zone will feature face painting, stocks, circus skills, magical dress up, knight classes, bouncy castles and inflatable slides, a Robin Hood Nerf shootout and an 8ft inflatable jester. Admission to the Children's Zone is priced at £3 per child (adults get in free of charge) and youngsters can come and go as they please throughout the day. Tamworth Scouts will again march through the town centre in a St George's Day parade before arriving in the Castle Grounds. The free annual St George's Day festival is one of the highlights of Tamworth's fun-filled calendar of outdoor events organised by Tamworth Borough Council's Arts & Events team. Councillor Joy Goodall, the council's Cabinet member for Environment and Culture, said: "The St George's Day festival is one of the most popular events on our calendar and the Arts & Events team is always working hard to ensure it continues to grow and offer new attractions each year. With so much going on throughout the event, it's easy to keep the whole family entertained for several hours with a variety of medieval-themed fun and games. We're looking forward to welcoming lots of people to the town to join the celebrations again this year." Activities in the grounds will be supported by more medieval-themed fun inside Tamworth Castle which will be inviting visitors to play historic games with Lady Freville, help the laundress clean clothes using medieval techniques, and learn about weapons and armour from the period. The event in Tamworth Castle is on Saturday 22 April from 11.30am to 4pm with admission priced at £7.50 for adults, £6.50 concessions, £5 for children over five and £3 for children aged between two and four. Under-twos get in free of charge. Family tickets are also available for £23, based on two adults and two children. Cost: Events in castle cost £7.50 adults, £6.50 concessions, £5 for children over five and £3 for children aged 2-4.